A note about last week: Thank you all again for understanding my event cancellation. I'm getting bookplates in the mail to Charlottesville this week, and everything else should be back on schedule. If you live in the Asheville area, I hope I see you at Malaprops with Victoria Schwab, Lenore Appelhans, Megan Shepherd, and a new addition: Meagan Spooner! Details here. Here's a video I did to help celebrate Victoria Schwab's release of THE ARCHIVED--I talk about a moment in my own history that changed my life. And PS, here's a video of an awesome review of SHADES OF EARTH by the awesome CassJayTuck. There's a knife in it, which is my favorite part. And speaking of reviews, if you're on the fence about the first two books, ACROSS THE UNIVERSE and A MILLION SUNS (also here), I really liked the reviews up at Bookshelves of Doom, and they're pretty spoiler-free for those two books. Want to see what my writing desk looks like during the (rare) times it's clean? And also enter to win a complete signed trilogy? Then check out Meagan Spooner's interview with me on the Write Space. I did a guest post on io9 about building a new planet in a sci-fi world, and if you're interested in that sort of thing, you can check it out here. I also did a guest post for the Happily Ever After blog on USA Today, and you can see why sci fi world with explosions go well with kissing by reading it here. Canada, you're the best. Thank you for adding SHADES OF EARTH to the Must Read List for 2013. 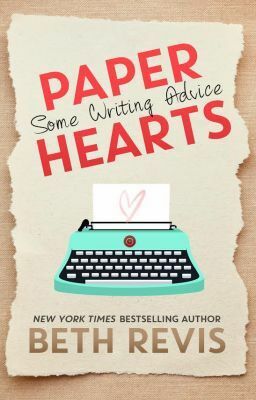 And finally, Ms. Literati's published an interview with me that's all about writing advice, so if you're a writer (or just curious), read it here. And now, finally, I'm going to announce my final SHADES OF EARTH related contest for the foreseeable future! I've just been so grateful to everyone for all the support and love you've shown me, and that's where this contest came from. There are 21 prizes. One grandprize winner will get a complete signed trilogy, plus two ARCs of anthologies I'm a part of, plus a signed copy of all the books by the lovely ladies who helped me celebrate my launch. Fifteen runners-up will win a signed hardback of SHADES OF EARTH, and five other runners-up will win a signed paperback of A MILLION SUNS. To enter for the grand prize pack or the fifteen signed SHADES OF EARTH, just take a picture of yourself with your copy of SHADES OF EARTH. Library copies, e-books, and hardback copies count--but ARCs don't. You can also pose the book with your dog, in your neighborhood, or anywhere else except in a bookstore. Post the picture online and include the link to it here. You can post it on Twitter, Facebook (if it's public so I can check it), on your blog, Instagram, whatever. To enter for the five signed copies of A MILLION SUNS, do the same thing, except pose with the first book, ACROSS THE UNIVERSE. This prize pack is specifically designed for people who've only read the first book and need to catch up with the rest. If you want to keep the "pay-it-forward" theme going, you can donate your original copy of the book to someone else (such as a friend, school, or library) if you win--but that's not required. Unfortunately, this contest is open to US/Canada only. I recently spent more than $200 on postage to foreign nations for previous contests, and I can't do that again for a bit. I hope you understand. If you have an American friend who can accept the package for you, you can enter--as long as I have an American/Canadian address to ship to. There is only one way to get an extra point--let me know if I can post your picture online or not. You answer does NOT effect your chances of winning--I just want to know if you'd mind me sharing your pic on my website. You can enter both contests, as long as you post two pictures. This contest will run through February 17th--which gives you a chance to enter if you come to one of my book tour stops for Breathless Reads! Hi everyone. First--thank you all for understanding the event cancellation I post yesterday, and for your well-wishes and prayers for my family. We all really appreciate it. I am going to mail off some signed bookplates to the Charlottesville Barnes and Noble, and I'm hoping they get to the event in time--but just in case, you should be able to stop by the store the following week and pick some up. If you were travelling out of town for the event and can't stop by the store to pick up bookplates but one, drop me an email at authorbethrevis@gmail.com. Thanks again for understanding, everyone. I'll be posting a new contest later today; I had already had it planned and set-up prior to my emergency, and I don't really see a reason not to post it now, especially as I'd like to conclude the contest before the book tour and want to give people time to enter. As you know, I'd been planning an (awesome) event with Victoria Schwab, Jodi Meadows, and Ellen Oh in Charlottesville, VA. However, I'm sad to say, due to a family emergency, I will not be able to attend. In the three years since I've started this writing gig, this is the first event I've had to cancel for a personal reason. I really hate letting everyone down, but I hope you understand that I have to be with my family right now. I make no qualms about it--I'm seriously one of the luckiest girls alive. I am so grateful to everyone who helped make the launch of SHADES OF EARTH a success (and yes, I am working on another giveaway to celebrate!) --including all of you. I am also very grateful to the wonderful people who helped me with the launch party held on Tuesday. This year, I worked with the amazing Morganton Public Library and was lucky to have a bunch of writer friends with me, namely: Victoria Schwab, Alexandra Duncan, Megan Miranda, and Jessica Khoury (with a surprise appearance by Megan Shepherd!). The Morganton Library was the perfect host for us, and super awesome. Notice the purple tinsel stars in the background! And cupcakes! And purple punch! And so much more! This is all thanks to Margaret and Page, teen librarian extraordinaires, along with the library director Jim Wilson. Authors, if you're looking for a great place to do an event, you must give Morganton Library a chance. I think we might be laughing about Alexandra's love of gourds. SO. MUCH. FUN. Seriously. Group events = the BEST. And special thanks to Lori Special, NC School Library and Media Specialist, for moderating the event! As always, she asked wonderful questions and kept us on our toes. Look how attentive we are! But honestly? The best part was, by far, the kids! One of the reason we came to Morganton Library specifically was because Tyler (pictured below with his sister Shea) asked us to come back after the Ash to Nash tour. Nothing makes me want to do an event more than a reader who wants to see me. Hearing from Tyler is the biggest reason why we did the launch party in Morganton. Thank you! And there was this awesome girl, Mya, who is definitely going to be an author one day soon! Her enthusiasm was catching, and just so wonderful. Of course, I was also super happy to share this wonderful day with my family, who has always been the most supportive. I sometimes make this face at my computer when my manuscript isn't working like it should. YOU GUYS MADE IT HAPPEN HOLY SHIZZ I LOVE YOU GUYS. 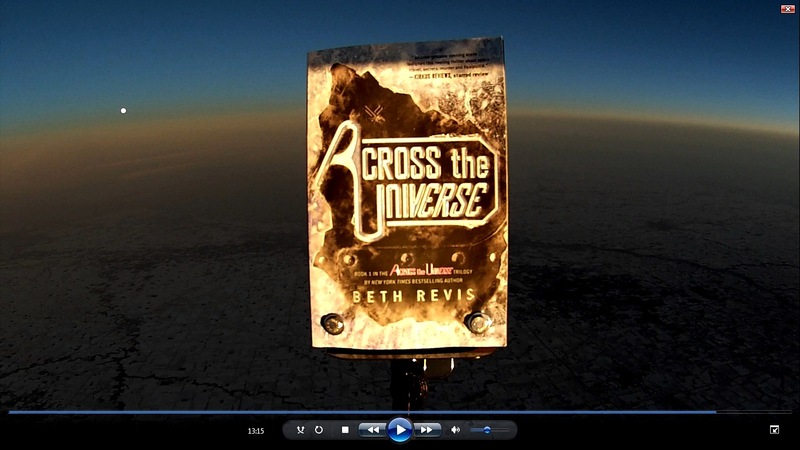 CLICK HERE TO SEE ACROSS THE UNIVERSE LAUNCH INTO FLIPPING SPACE!!!!!!! See that tiny dot in the left background? The Release of Shades of Earth! AHHH I CANNOT BELIEVE IT. This is weird. I've been meaning to write this post since I finished writing SHADES OF EARTH, but I kept putting it off. I think it's because I don't know what to say. I mean, I know what I want to say, but I don't think I have the words to say it. Does that make sense? I just. I don't have the words to describe what it means to me to have the trilogy out. To have you read it. To thank you for your support. To thank Penguin/Razorbill for their support, especially Ben and Gillian for the tireless rounds of edits and rewrites. To give virtual hugs and kisses to my agent, Merrilee Hiefetz, who is more amazing than I deserve. AHHH I NEED BETTER WORDS. To help celebrate Victoria Schwab's release (THE ARCHIVED, next week!) I made a video for her MAKING HISTORY series. You can see it and find out what book changed my life FOREVVVVERRR by clicking here...and commenting will put you in the running for a SIGNED copy of SHADES OF EARTH. Ex Libris Kate (who is awesome) is giving away a copy of SHADES OF EARTH (or a signed paperback of ACROSS THE UNIVERSE)--along with a bunch of NASA goodies!--here. 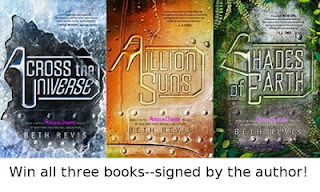 And The League of Extraordinary Writers is giving away a whole trilogy of the books--paperbacks of ACROSS THE UNIVERSE, A MILLION SUNS, and an ARC of SHADES OF EARTH--all of which will be SIGNED--by entering here. Meanwhile, also check out their shiny new design and look! If you're in Western NC or thereabouts, you might be interested in reading this article in the McDowell News or this one in the Asheville Citizen Times about local signings and upcoming things and such. Tuesday, January 15, 4-7pm: Book launch in Morganton Public Library! Details: We're going to start with a panel discussion and Q&A, then do a signing. GUYS. GUYS. The Morganton Library is going ALL OUT for this one. If you can feasibly make it, DO SO. They've got tasty snacks, and they're basically shutting down the library just for us to party. IT IS GOING TO BE AMAZING LIKE WHOA. Like, I can't even. This is going to be a HUGE party!! Other stuff: There's a parking lot to the left of the library (it's for the church across the street, but you can park there on a weekday for free), as well as street parking and parking in the back. My husband will be live-tweeting the event, so if you have any questions you'd like to ask at the launch and can't be in attendance in real life, follow me @bethrevis, and we'll try to answer online as well. Details: Ah! I love these girls! I have a feeling that Shenanigans WILL BE HAD. I hope to meet you there! NOTE: In my newsletter, I accidentally listed the wrong time for this event. The above is the correct time. Details: DUDE. Malaprops knows how to throw an event. Also, this is Megan and Lenore's debut--so EXTRA FUN AMIRITE?! Don't forget about the Breathless Reads tour, which will have me all up and down the East Coast (and if you're a West Coast person, there's another leg of the tour with other authors). Also, you can always vote for an event in your area through YA2U. More details on all events here. Full Version of AS THEY SLIP AWAY Available Now--Free! And also, thank you to everyone who participated in the blog tour by reading the novella and/or purchasing SHADES OF EARTH. The full version of the novella is available for free now at PenguinTeen's Scribd page. Just click here to read the whole story! You can read it on the computer, print it out (it's about 50 pages long), or even download it to the e-reader of your choice. You can download it to either a .pdf file or a .txt file, and then transfer it easily. Instructions on importing files to a Kindle. Instructions on importing files to a Nook. When I first came up with the idea for AS THEY SLIP AWAY, I knew I wanted to give it to you, the readers, for free as a thank you. But not everyone in publishing thinks this is a workable, good thing to do. So, if you liked reading the novella for free, please consider doing one of the following to prove to my publisher that free novellas are a good things for readers to get. The first and simplest thing is simply this: read the novella. The full version of the novella is now available (for free) via Scribd, where my publisher has access to statistics, such as finding out how many times the story is read. The more it's read, the more likely I'll get to do something like this again. Tweet @PenguinTeen or leave a message on the Facebook Page letting them know you liked the novella. It seems like such a silly thing, and honestly, I feel a little silly suggesting it (like I'm trying to talk you into praising me, which isn't my intent). But the truth of the matter is, if my publisher knows the novella was liked, there's a far greater chance that I'll get to do another one for you. Purchase a copy of SHADES OF EARTH. I feel like I've been harping on and on about buying the book, and even I am sick of it. But the idea that things for free lead to sales is one of the most hotly debated topics in publishing right now--so if I can prove, with sales, that giving away stuff for free works, well...the logic is there, yes? And no matter what: THANK YOU. Seriously. Thank you for reading. I hope you enjoyed it! In just one week and one day, SHADES OF EARTH is being released! Wheee!!! I fluctuate between wild excitement and extreme bouts of vomit-inducing terror, so let's pretend that we're in the excitement upswing for the moment. I am really stoked to have this book come out, though. It sounds cheesy, but this was the first book that I really wrote for you. When I wrote the first book, it was for me--there was no book contract, no assurance anyone but me would read it. The second book was a challenge--I mean that literally. It was like a dare, where I was seeing if I could write another book my editor and agent liked. This book, the third book, is for you. I had nothing to prove to anyone but you, my readers. This was my chance to give you something back. And so I very much hope you like it. Just click on them, and you can read the first chapter of the free novella, as well as enter for one of five signed sets of books--one for each day of the tour! The book launch into space is still going strong--I believe we're very close to having the whole thing actually happen, which is super exciting! Any pre-order counts. I hate harping on and on about sales, but I hope you don't mind if I just put the pre-order links here. And I promise to only do this sort of thing for the week. And signed books are still available from Malaprops. Blog Tour Day Four: Shades of Earth & As They Slip Away! And here's a sneak preview from SHADES OF EARTH just for you guys. This is getting hard--trying to find a scene that doesn't give anything away but is still a little juicy. So here's this scene-one of my favorites--but I'm not going to tell you who or what it's about. So it could be anyone: Amy, Elder, anyone. “Get. The hell. Out.” He grinds the words out through clenched teeth. I stare up at him, shocked at his reaction. “You did this. If she dies, her blood is on your hands. You can’t keep her safe. You can’t keep anyone safe. GET OUT.” He pushes me again, and I stumble against the wall. Blog Tour Day Three: Shades of Earth & As They Slip Away! And here's a sneak preview from SHADES OF EARTH just for you guys. Ah, it's Wednesday. Why don't I give you guys a kissing scene? And then I see the suns. Two of them. I don’t know how I didn’t notice them before—who thinks to look at the sun?—but they’re low in the sky now, casting the area in a dark blue-green sort of twilight. Of course. I’d known—I’d always known—that Centauri-Earth would have two suns. I had noticed the two giant glowing orbs from the window of the shuttle. There’s a difference, though, in seeing two big stars from a spaceship and seeing two glowing suns from land. “It’s so…it’s so beautiful,” I say, unable to keep the awe from my voice. Elder’s grip on my hand tightens in response. I turn to look at him, and I see the joy I feel in my heart mirrored in his expression. My lips creep up and up in a smile so uncontainable that I feel as if my face will never give it up. Elder’s hand slips from my own, trails up my arm, leaving goosebumps in its wake. I lean forward, up on my tiptoes, my face tilted to his. Our kiss holds none of the furious passion we shared at landing the shuttle. This is different—this is like an ocean’s wave, washing over us, drowning us both in warmth, leaving us breathless and shiny-eyed. Blog Tour Day Two: Shades of Earth & As They Slip Away! My hand goes to the wi-com embedded behind my left ear, and I press the button down. Instead of the usual beep, beep-beep, there’s nothing but a click as the button’s depressed and released. I frown, and push the button again, so forcefully that I wince in pain. Shite. The wi-com network was on the ship. My fingers run over the edge of the button, a perfectly circular bump that has been a part of my body for as long as I can remember. Now useless. The frexing thing is useless. It’s implanted into my flesh, its wires creep beside my veins, and it will never work again. I’ve never felt so disconnected from…everything. It’s one thing to know that the ship’s unreachable, but now the connection I’ve had with my people who are here is gone too. Blog Tour Day One: Shades of Earth & As They Slip Away! I’ve heard that when you’re in a life-or-death situation, like a car accident or a gunfight, all your senses shoot up to almost super-human level, everything slows down, and you’re hyper-aware of what’s happening around you. As the shuttle careens toward the earth, the exact opposite is true for me. Everything silences, even the screams and shouts from the people on the other side of the metal door, the crashes that I pray aren’t bodies, the hissing of rockets, Elder’s cursing, my pounding heartbeat. I feel nothing—not the seat belts biting into my flesh, not my clenching jaw, nothing. My whole body is numb. 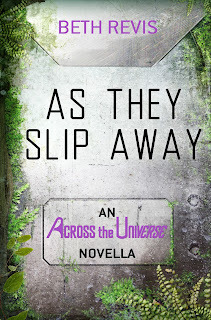 As They Slip Away: A Free Novella! All this week, I'm doing a blog tour to celebrate the launch of my third and final novel in the Across the Universe trilogy: SHADES OF EARTH! Guys, I'm so excited about this one. It's really a work of love, and a great big thank you letter to everyone who's supported me and read my work. But I wanted to do something else to thank you all. So...I wrote a novella. And I'm giving it to you. For free. No strings. I just want you to have it. 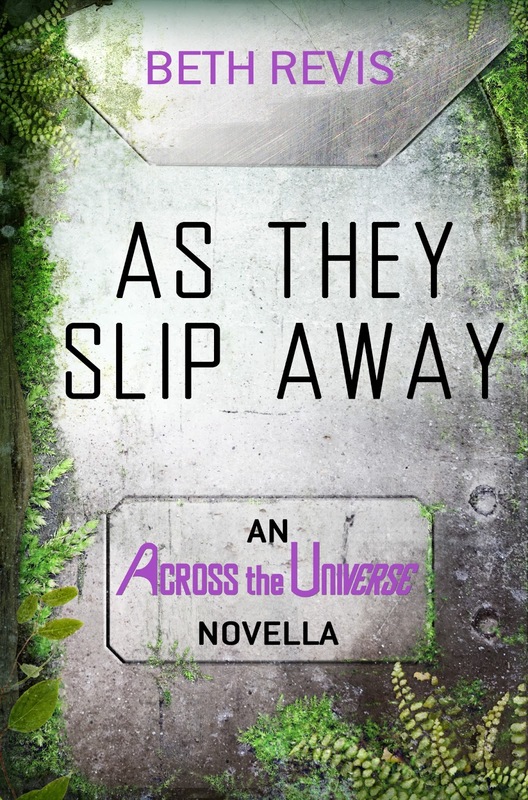 The novella is called "As They Slip Away" (note the Beatles reference! ), and all this week, Monday through Friday, a different chapter will be posted on a different blog in this unique blog tour. Additionally, you'll have a chance each day to win one of five sets of books--all three books in the trilogy, all signed by me. The short version: all this week, you get to download another chapter of "As They Slip Away" and enter to win a set of signed books. You can read the full description of "As They Slip Away" on GoodReads--and by the end of the week, you'll be able to download the full version of the story on your e-reader of choice (available free through Scribd from PenguinTeen). But I want to get personal for a moment, and tell you about how this novella came to be. 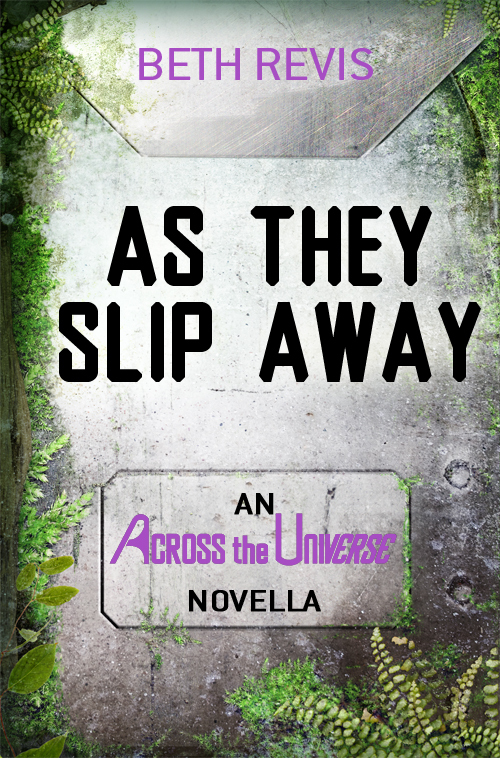 "As They Slip Away" features a new character--Selene. Although she's not really new. If you've read ACROSS THE UNIVERSE or A MILLION SUNS, you've seen Selene before. In ACROSS THE UNIVERSE, Selene was the "rabbit girl," the girl Amy meets who's giving "inoculations" to rabbits. And she showed up again, in A MILLION SUNS. As a victim. I knew for a long time that I wanted to write a novella telling this girl's story. I like to have backgrounds for my background characters, and from the moment she landed on the page--as a late addition, barely making the cut--I was curious about what her story might be. I also wanted to write more about the most-hated character of my books: Luthor, or Luthe, as he was known in the first book. In a lot of ways, he's the real villain of my stories, not Eldest or Orion. Both Eldest and Orion have very real reasons for doing what they do. I'm not saying they're right--I'm just saying they are acting with what they feel to be the best way. Luthe, on the other hand, is evil. I wanted to do two things with the bad characters in my books. I wanted to show that many times, the person we think is evil, has perfectly valid reasons for his actions. Most "bad guys" aren't bad--they're just working under different motivations or goals or methodology. That's why I wanted to show who Eldest and Orion were, and why they did what they did. But I also wanted to make it clear that there is evil in the world. And that is Luthe. He is evil. He is bad. He is unredeemable. He is perfectly, 100% conscious of his actions, and the consequences, and he doesn't care. He takes what he wants. In some ways, "As They Slip Away" is Luthe's story. He is evil--but he's also sick. Sick in the same way serial killers are sick, but sick, nonetheless. But really, this is Selene's story. The girl who had no voice--not in the novels, not even in part of this story. I wanted "As They Slip Away" to be a story about a victim. If you read A MILLION SUNS, you already know how Selene's story ends--and it doesn't end well. "As They Slip Away" is a tragedy. But despite that--despite what's happened to Selene, she doesn't let that change her. So, while it is a tragedy, I want you to know also that it's a story of strength. 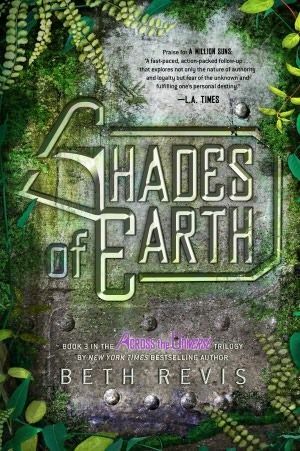 Special thanks to Publishers Weekly for featuring some of the pre-publication promo that Penguin and I've been working on to celebrate the release of Shades of Earth! YA2U is going strong! We hit our first thousand entries today (as of now, we're at 1200!) and we released the top ten cities currently in the running. This is one contest where the more entries you get, the better off you are. Consider printing out some flyers, or contacting your local library. Only ten votes for the same city currently gets you in the top fifty--imagine if you got an entire classroom to enter! 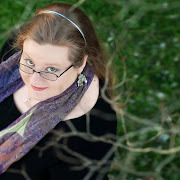 You should totally read this awesome post by Megan Shepherd on what inspired her to be a writer for children. 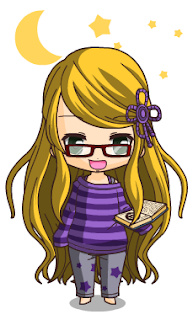 And if, like me, you need a timewaster, try out this Chibi Maker :) Here's me in chibi form! Why Should YA2U...Come to You? 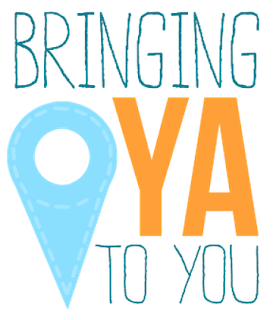 Yesterday, I had the thrilling fun of announcing YA2U, a fun project where me and four other authors are going to a city based on YOUR votes. YAY! Click here for more info! And if you followed the links yesterday, then you know all the awesome authors who are involved with the project. OMG SO AWESOME AM I RIGHT?! And now, basically, it's all in your hands. Where we go is up to you--and your votes. 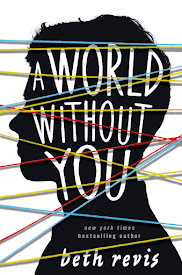 And because this is based on voting--and because we want to go where we're most wanted--it's really important to us to have as many votes for YA2U as possible. Therefore, let us know: why should we go to your hometown? You never know--we might just make a few extra stops based on your awesome reasoning (trufax: if you can promise me that Nathan Fillion will be there, I will SO go to your town no matter WHAT). To help get us started, a bunch of lovely book bloggers volunteered to let us know why we should go to their hometowns. You can check them out here--and don't forget to make your own post, too! Remember, spreading the word online (and through posters--downloadable for free) all counts as an entry to win all ten of those books, signed! We'd also like to thank the awesome bloggers who've helped us with their support and enthusiasm. 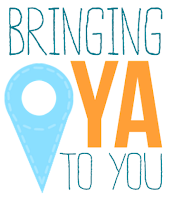 Many of them are posting about YA2U today, so check out their links and find out about their hometowns--then post about your own! What's the Big Secret? New Year's Surprise! Well, today I--oops, I mean we--get to announce something spectacular! Bringing YA to You (or YA2U for short) was a project that came from YOU--all of you who have ever said, "Why won't a book tour make a stop in my hometown?" Well, that's what we want to do! We're hosting a contest--everyone gets to put in whatever city they most want us to go to, and whatever town has the most votes, will get an exclusive tour stop from all five of us! And that's not all--we're also hosting another contest where, if you help us spread the word, we'll give you ten signed books, all the books we've published so far--including all three of my own books! You can find the full details of the YA2U project here: http://ya2u.blogspot.com and you can also go ahead and enter your hometown for the win and help spread the word. There's also lots of cool features on the site, including downloadable posters (consider putting them up in your school or library! More votes = a better chance for you to win!) and other tips on how to win. I can't help but think I'm forgetting something...oh yeah! The other authors! I did mention there were five of us, right? 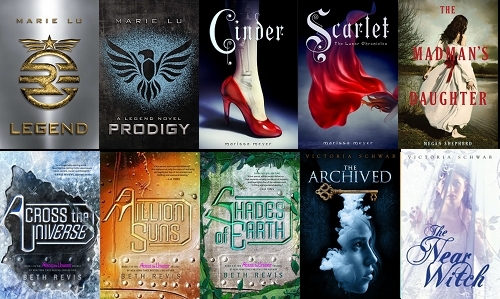 Five amazing, wonderful, best-selling and award-winning and splenderiferous authors, right? RIGHT? Would you like to know who the other authors are? Would you??? Then click below! That'll take you to the next mystery author in this fun project!